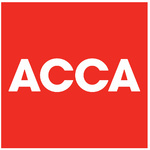 I am UK - FCCA qualified holding practice certificate and covered by professional indemnity insurance. My expertise is in Business & financial support and tax planning working...Read moreI am UK - FCCA qualified holding practice certificate and covered by professional indemnity insurance. My expertise is in Business & financial support and tax planning working virtually based NW London. I have wealth of experience in accounts, audit, tax and business planning having worked at UHY Hacker Young (Top 20 Accountancy Firm) for a number of years. I work with you to make your business more efficient and profitable thereby adding a value added service. I enjoy what I do & this comes across in the service that I provide. Client satisfaction is the upmost priority for me. *business advise to new start ups including formation of companies Partnerships and Sole Traders. *advise on Tax planning, tax investigation advise on Tax relief e.g. EIS - Enterprise investment scheme and SEIS - Seed Enterprise Investment scheme. * undertake work for sole traders, partnerships and small, medium and large companies in a variety of sectors. * budgets, valuations, management accounts and companies house filings. * tax computations for HMRC and tax saving advice. Summary: I have worked within a top 20 private practice accountancy firm for over 15 years. Description: Undertook financial due diligence on dental practice accounts prior to purchase and advised client to go ahead with acquisition. Liaised with bank to raise finance and approve mortgage. Prepared accounts and tax returns. Description: I worked under the umbrella of the Accounts Assist team, offering accountancy services. Description: Responsible for the accounts of SMEs, large companies, partnerships and sole traders. I have worked for clients from a wide range of sectors, including retail, property, GPs and dentists. Summary: FCCA qualified accountant, holding a certificate to practice issued by the Institute of the Chartered Certified Accountants (ACCA). Undertake continuous professional development. Excellent. Very highly recommended Accountant. Vijay had a excellent understanding of matters and has done an excellent job. Will be working with him on other matters now. Highly recommended! Vijay is a true professional. Vijay worked long and hard when it cam to my accounts! Also the amount of knowledge that was shared was invaluable. Vijay truly works from his heart and I will certainly re hire again! Thank you. Urgently needed an Accounts Review Report (not audit report) of a small Ltd Co.
Vijay set up my payroll for me quickly with no problems, very informative, look forward to continued working relationship.